SCHERERVILLE, IN – March 10, 2017 – McColly Real Estate was presented with a marketing award from Leading Real Estate Companies of the World®, a selective global community of the highest quality independent real estate firms. The award was presented during the Leading Real Estate Companies of the World® Conference Week, a series of events that drew an impressive audience of 2,000 real estate professionals from 25 countries. The award-winning entry in the Best Video category was chosen for excellence in creativity, quality and overall presentation and effectiveness. McColly Real Estate was presented the Best Video award for originality in consumer video. “It is an extreme honor to be recognized on an international level for our marketing excellence again. The McColly Companies Marketing Department continues to raise the bar for our clients,” said Monica Decker, Director of Marketing & Technology of McColly Real Estate. McColly Real Estate is the Northwest Indiana and Chicago Southland exclusive representative of LeadingRE (www.LeadingRE.com). With a global membership that spans six continents, LeadingRE connects more than 550 firms and 130,000 sales associates who produce over 1.2 million real estate transactions each year.  As a member of LeadingRE, McColly Real Estate provides a quality real estate experience, global marketing reach and access to top real estate professionals in virtually any market worldwide.